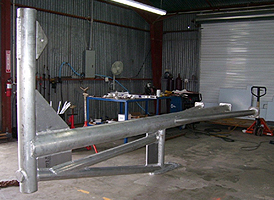 At Plastic Stainless, Inc. we provide a variety of services; gas exchange boxes, jib cranes and stainless steel countertops. Read more below. This box is used in waste treatment plants for odor reduction. Fabricated and welded out of aluminum pipe and plate. 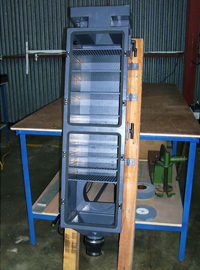 Used on an off shore drilling platform. 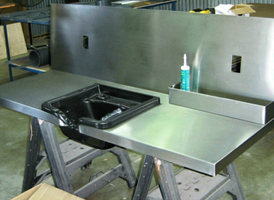 Custom designed countertop fabricated out of 16G stainless for a beauty salon. Includes a back splash as part of the unit.